When you’re considering a kitchen renovation, it’s easy to get excited. Most of us dream about how it's going to look without asking some important questions. Thinking about these questions will ensure you get a kitchen that looks great to suit your needs. When Matt comes out for a consultation with you, he asks a lot of questions. Not because he’s nosey, but because it is crucial that he gets a real feel for you, your family and your actual needs. So what kinds of questions can you ask yourself to improve the chances that you’ll love the space in years to come? What do you like about your current kitchen? This gives us a great starting point. What do you dislike about your current kitchen? Get down to the specifics - do you hate the layout or just certain elements? Is your kitchen the heart of your home? Would you like it to be? For many families the kitchen is just a meal preparation room but for others it’s where most of the family activity happens. Be realistic about how you currently use the space and how you plan to use it. This is a huge factor when deciding on the layout and space priorities. How many people are usually using the kitchen at once? If you have 4 of you in there working your needs will be completely different than a household with just one. Is dining in the kitchen important to you? This is one of those actual vs idealised questions. You may have visions of the kids sitting at the bench in the morning having breakfast. But if the reality is that it’s unlikely to happen then the space might be wasted. For many people the casual dining experience is an important consideration. Will the space be used for more than just cooking? Will the kids be doing homework? Will you be working at the bench on a laptop? This needs to be taken into account to ensure there’s enough bench space for all your needs. How much storage do you need? Take a real look at the amount of “stuff” in your kitchen. Consider appliances and serving wear as well as your day to day items. These all need a home. What are your shopping patterns like?> Are you a once a month grocery shopper who’ll need space for bulk items? 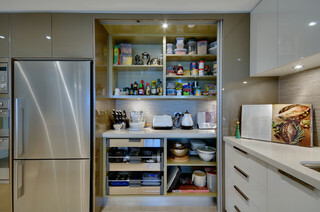 Or do you shop frequently and use everything so a large pantry isn’t essential. Do you have preferences in appliance types? If you’re not set on ones you’ve already got you can consider building in some appliances. Dishwashers, stoves, cooktops and microwaves can all be built into your space. What do you like to cook with? Do you prefer gas, electric, induction or ceramic? Perhaps a combination would work best for you. Thinking about this early on means you can research and find your perfect solution. If you’re thinking about gas, you can potentially also save money by keeping stoves/ovens close to the existing gas outlet so that they don’t need to be moved. What things do you use everyday in your kitchen? If you enjoy a daily smoothie or juice you might want to make sure you have space allocated for your blender or juicer so it’s easy to access and use. If you bake every day you don’t want to be digging around for your wares and utensils in the back of a cupboard so a solution that keeps these items close at hand would be beneficial. Daily toasted sandwich for breakfast - you get the idea. What’s your cooking style? Are you a “prepare all the elements and have them ready on the bench” type of cook? Or a clean and tidy as you go type? Do you prepare gourmet or quick and easy meals? All these things matter to how much space you’ll need in different parts of the room. What’s your style? Modern, classic, funky, traditional? 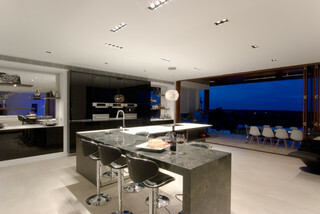 You want your kitchen to reflect your style. What's the style of your home? We aren’t saying it CAN’T work, but generally speaking it's better to try and keep your new kitchen in harmony with the rest of the house. If, for example, you’ve got a farmhouse style home, a modern, stainless steel filled kitchen may not be the best option. This is certainly not a comprehensive list, but just some of the questions to get you thinking about the space and what you want and need to achieve. Ready to get into a bit more detail? Request a free consultation today and chat with Matt about your kitchen dreams.